We previously discussed how to leave assets to minor children. But, if you are preparing to send your son or daughter off to college to pursue higher education, you may be wondering how their first semester of school will go. During this exciting new chapter in your family’s life, the last thing you may be thinking about is estate planning for your college-aged child. While your child may not have any assets (yet), once he or she turns 18, your child is considered an adult in the eyes of the law. Before your kids go away, have a frank conversation with them about how much information — including grades, finances, health records — you will be able to access. Many parents are actively involved in their college-aged children’s care and responsibility. Nonetheless, turning 18 changes the legal landscape when it comes to your rights to address your child’s needs. Preparing a legal plan for your college student ahead of time will greatly reduce any legal hurdles you may face as a family while he or she is attending college. 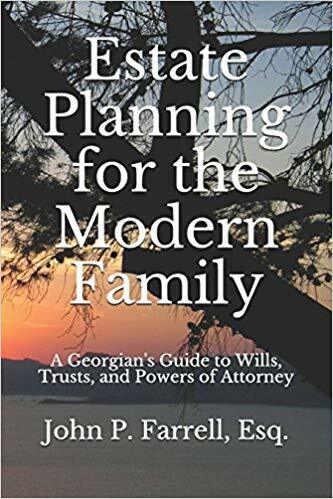 Before sending your child off to college, give us a call at (678) 809-4922 or check out our book, Estate Planning for the Modern Family, so we can help you craft a plan that protects your most valuable asset — your children. Previous Previous post: Who do I choose for an Executor or Trustee?